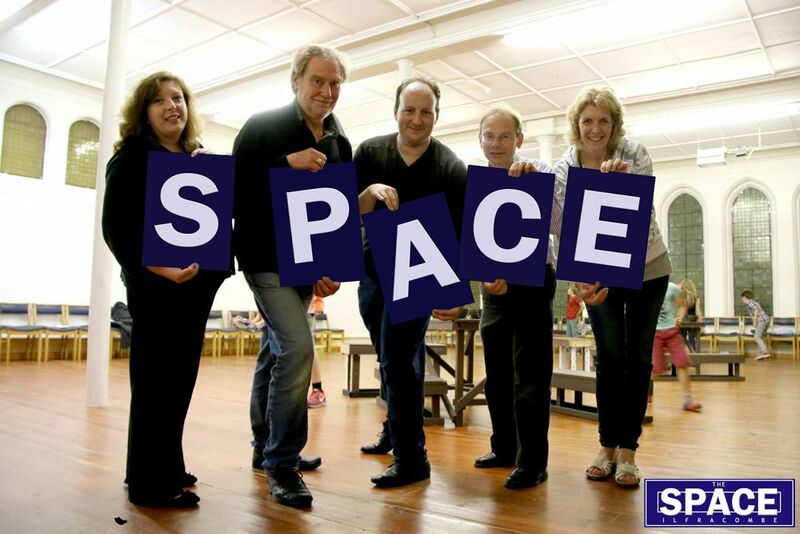 Community theatre groups in Ilfracombe have already started using new facilities for rehearsals, performance, classes, and set building and storage with the launch of the SPACE. Five stalwarts of the town’s theatre groups have formed a not-for-private-profit company, Ilfracombe Performance Space Ltd, to manage the SPACE, which is based at Emmanuel Church, Wilder Road. “This is a marvellous opportunity for performing arts groups in Ilfracombe,” said Lee Baxendale, volunteer director of IPS. “All groups have been desperate for practical, affordable space for some years and now we have a facility dedicated to theatre, dance and live performance. Ilfracombe Musical Productions, Small Pond Productions and Studio Theatre – the town’s major theatre groups which have staged productions ranging from Twelfth Night to Dad’s Army, The Vicar of Dibley, My Fair Lady, Hello Dolly, Me and My Girl and Victorian Music Hall – are becoming IPS activity members so that they can use the facilities, while classes are already running at the SPACE. “We would like to express our thanks to Emmanuel Church, Ilfracombe for enabling us to take on the SPACE and provide a much-needed facility for all the town’s performers,” said Robert Zarywacz, volunteer director of IPS. “We’ve had to work fast to get it up and running and are working to equip the SPACE so that it has everything performers need. We are very grateful to the Christian Fellowship Church, Ilfracombe for donating 140 chairs. “We’ll be raising funds with a Crafts and Hobbies Fair on September 26, a Vintage and Collectables Fair on October 24 and a Christmas Fair on November 21. The volunteer directors of IPS are Lee Baxendale, Debbie Hadley, Jay and Julie Moore and Robert Zarywacz, all of whom have performed and are, or have been, involved in running theatrical groups and productions.